Helo has a home! 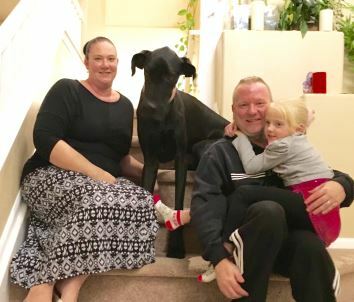 - Rocky Mountain Great Dane Rescue, Inc.
Helo has a home with his foster family in Westminster, CO!!! Jason & Sandra have been looking for a Great Dane to add to their family for some time now. This family started with fostering this sweet guy and magic happened. He immediately fit in perfectly with the family. Way to go Helo!